Reserved Officers Training Corps (ROTC) began in 1912 when the Philippine Constabulary commenced with military instruction at the University of the Philippines. The university's Board of Regents then made representations to the United States Department of War through the Governor-General and received the services of a United States Army officer who took on the duties of a professor of Military Science. Through this arrangement, the first official ROTC unit in the Philippines was established in the University of the Philippines on 3 July 1922. 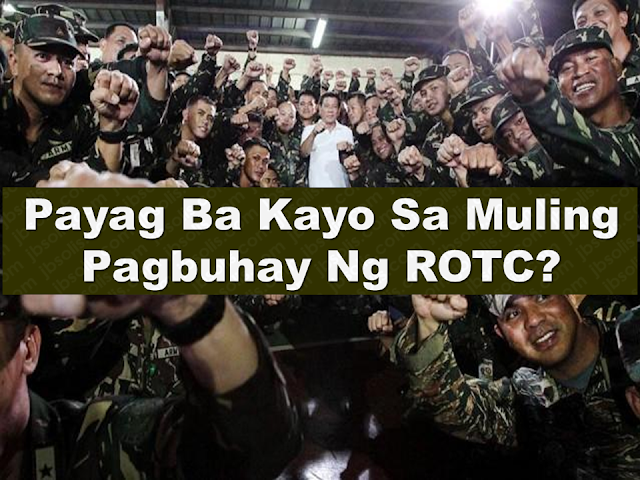 ROTC aims to provide military education and training for students to mobilize them for national defense preparedness. 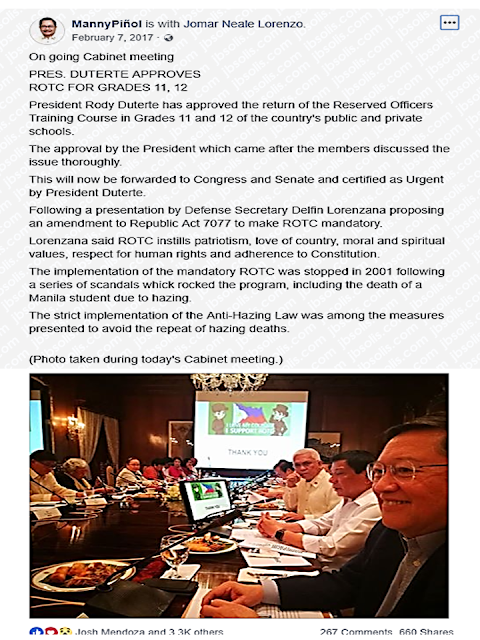 Its specific objectives include preparation of college students for service in the Armed Forces of the Philippines in the event of an emergency and their training to become reservists and potential commissioned officers of the AFP. President Rodrigo Duterte approved the revival of the Reserved Officers Training Course (ROTC) for Grades 11 and 12 in public and private schools nationwide. Piñol also added that it will be forwarded to Congress and Senate for approval and certified as urgent by President Duterte.